Year Name Editor Edition Publisher 1976 1st 001 1976 1st 002 1976 1st 003 1976 1st 004 1977 1st 005 1977 1st 006 1977 1st 007 1977 1st 008 1977 1st 009 1977 1st 010 1977 1st 011 1978 1st 012 1978 1st 013 1978 1st 014 1978 1st 015 1978 1st 016 1978 1st 017 1978 1st 018 1978 1st 019 1978 1st 020 1978 1st 021 1979 1st 022 1979 1st 023 1979 1st 024 1979 1st 025 1979 1st 026 1979 1st 027 1979 1st 028 1979 1st 029 1979 1st 030 1979 1st 031 1979 1st 032 1980 1st 033 1980 1st 034 1980 1st 035 1980 1st 036 1980 1st 037 1980 1st 038 1980 1st 039 1980 1st 040 1980 1st 041 1980 1st 042 1980 1st 043 1980 1st 044 1981 1st 045 1981 1st 046 1981 1st 047 1981 1st 048 1981 1st 049 1981 1st 050 1981 1st 051 1981 1st 052 1981 1st 053 1981 1st 054 1981 1st 055 1981 1st 056 1982 1st 057 1982 1st 058 1982 1st 059 1982 1st 060 1982 1st 061 1982 1st 062 1982 1st 063 1982 1st 064 1982 1st 065 1982 1st 066 1982 1st 067 1982 1st 068 1983 1st 069 1983 1st 070 1983 1st 071 1983 1st 072 1983 1st 073 1983 1st 074 1983 1st 075 1983 1st 076 1983 1st 077 1983 1st 078 1983 1st 079 1983 1st 080 1984 1st 081 1984 1st 082 1984 1st 083 1984 1st 084 1984 1st 085 1984 1st 086 1984 1st 087 1984 1st 088 1984 1st 089 1984 1st 090 1984 1st 091 1984 1st 092 1985 1st 093 1985 1st 094 1985 1st 095 1985 1st 096 1985 1st 097 1985 1st 098 1985 1st 099 1985 1st 100 1985 1st 101 1985 1st 102 1985 1st 103 1985 1st 104 1986 1st 105 1986 1st 106 1986 1st 107 1986 1st 108 1986 1st 109 1986 1st 110 1986 1st 111 1986 1st 112 1986 1st 113 1986 1st 114 1986 1st 115 1986 1st 116 1987 1st 117 1987 1st 118 1987 1st 119 1987 1st 120 1987 1st 121 1987 1st 122 1987 1st 123 1987 1st 124 1987 1st 125 1987 1st 126 1987 1st 127 1987 1st 128 1988 1st 129 1988 1st 130 1988 1st 131 1988 1st 132 1988 1st 133 1988 1st 134 1988 1st 135 1988 1st 136 1988 1st 137 1988 1st 138 1988 1st 139 1988 1st 140 1989 1st 141 1989 1st 142 1989 1st 143 1989 1st 144 1989 1st 145 1989 1st 146 1989 1st 147 1989 1st 148 1989 1st 149 1989 1st 150 1989 1st 151 1989 1st 152 1990 2nd 153 1990 2nd 154 1990 2nd 155 1990 2nd 156 1990 2nd 157 1990 2nd 158 1990 2nd 159 1990 2nd 160 1990 2nd 161 1990 2nd 162 1990 2nd 163 1990 2nd 164 1991 2nd 165 1991 2nd 166 1991 2nd 167 1991 2nd 168 1991 2nd 169 1991 2nd 170 1991 2nd 171 1991 2nd 172 1991 2nd 173 1991 2nd 174 1991 2nd 175 1991 2nd 176 1992 2nd 177 1992 2nd 178 1992 2nd 179 1992 2nd 180 1992 2nd 181 1992 2nd 182 1992 2nd 183 1992 2nd 184 1992 2nd 185 1992 2nd 186 1992 2nd 187 1992 2nd 188 1993 2nd 189 1993 2nd 190 1993 2nd 191 1993 2nd 192 1993 2nd 193 1993 2nd 194 1993 2nd 195 1993 2nd 196 1993 2nd 197 1993 2nd 198 1993 2nd 199 1993 2nd 200 1994 2nd 201 1994 2nd 202 1994 2nd 203 1994 2nd 204 1994 2nd 205 1994 2nd 206 1994 2nd 207 1994 2nd 208 1994 2nd 209 1994 2nd 210 1994 2nd 211 1994 2nd 212 1995 2nd 213 1995 2nd 214 1995 2nd 215 1995 2nd 216 1995 2nd 217 1995 2nd 218 1995 2nd 219 1995 2nd 220 1995 2nd 221 1995 2nd 222 1995 2nd 223 1995 2nd 224 1996 2nd 225 1996 2nd 226 1996 2nd 227 1996 2nd 228 1996 2nd 229 1996 2nd 230 1996 2nd 231 1996 2nd 232 1996 2nd 233 1996 2nd 234 1996 2nd 235 1996 2nd 236 1997 2nd 237 1997 2nd 238 1997 2nd 239 1997 2nd 240 1997 2nd 241 1997 2nd 242 1998 2nd 243 1998 2nd 244 1998 2nd 245 1998 2nd 246 1998 2nd 247 1998 2nd 248 1998 2nd 249 1998 2nd 250 1998 2nd 251 1998 2nd 252 1998 2nd 253 1998 2nd 254 1999 2nd 255 1999 2nd 256 1999 2nd 257 1999 2nd 258 1999 2nd 259 1999 2nd 260 1999 2nd 261 1999 2nd 262 1999 2nd 263 1999 2nd 264 1999 2nd 265 1999 2nd 266 2000 2nd 267 2000 2nd 268 2000 2nd 269 2000 2nd 270 2000 2nd 271 2000 2nd 272 2000 2nd 273 2000 2nd 274 2000 2nd 275 2000 2nd 276 2000 2nd 277 2000 2nd 278 2001 3rd 279 2001 3rd 280 2001 3rd 281 2001 3rd 282 2001 3rd 283 2001 3rd 284 2001 3rd 285 2001 3rd 286 2001 3rd 287 2001 3rd 288 2001 3rd 289 2001 3rd 290 2002 3rd 291 2002 3rd 292 2002 3rd 293 2002 3rd 294 2002 3rd 295 2002 3rd 296 2002 3rd 297 2002 3rd 298 2002 3rd 299 2002 3rd 300 2002 3rd 301 2002 3rd 302 2003 3rd 303 2003 3rd 304 2003 3rd 305 2003 3rd 306 2003 3rd 307 2003 3rd 308 2003 3rd 309 2003 3rd 310 2003 3rd 311 2003 3rd 312 2003 3rd 313 2003 3rd 314 2004 3. Comics During the print run of Dragon, various comic series and one-panel comics were published. The party is contracted to present the offer of Elysium and negotiate for the deed against five other finalists from across the planes. Issue - Page - Title 100 96 The Lich-Queen's Beloved The Incursion has begun! Dungeons glory era ran from the late eighties to the mid nineties, when the scenarios were mostly selected on basis of plot, style and featured characters. I have the Manual of the Planes and I'll definitely be reviewing that, but I've never run a module that involved heavy planar travel so I'd like some guidance on things I should keep an eye out for. The 3G models could have the ability to be used a mobile phones but Sony didn't implement this feature because, I guess, they didn't want to overlap with their mobile phone division. No, no - now it sounds Italian. Until next week, have fun and happy gaming! The locales include clever and quirky encounters , like solving the mystery of a murdered paladin, a bridal party, a Beholder construct, and more. Written by Willie Walsh for Dungeon 36 July 1992. Lured or abducted by the alien Gentry, you have passed the gates and Hedges between our world and the vast fantastic. 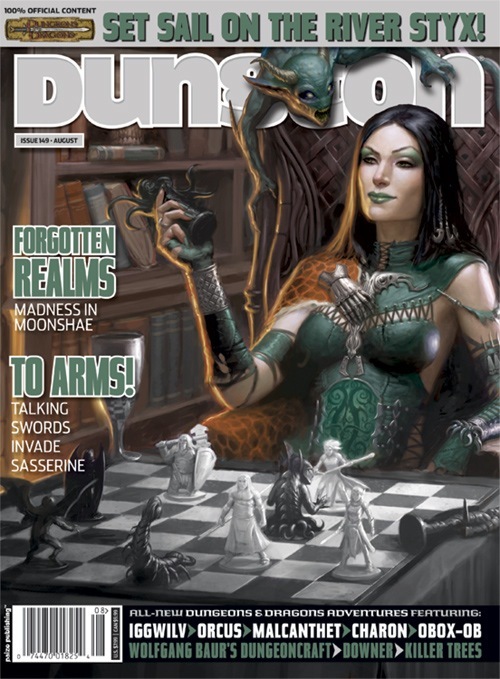 In October 2012, Wizards of the Coast resumed monthly compilations. Add a telephone app to 3G models. Paizo Publishing In 2002, acquired the rights to publish both Dragon and Dungeon under license from Wizards of the Coast. For me i'm loving it. I might be remembering wrong, though. That part is pretty cool. The problem is that the room encounters proper are boring as hell. 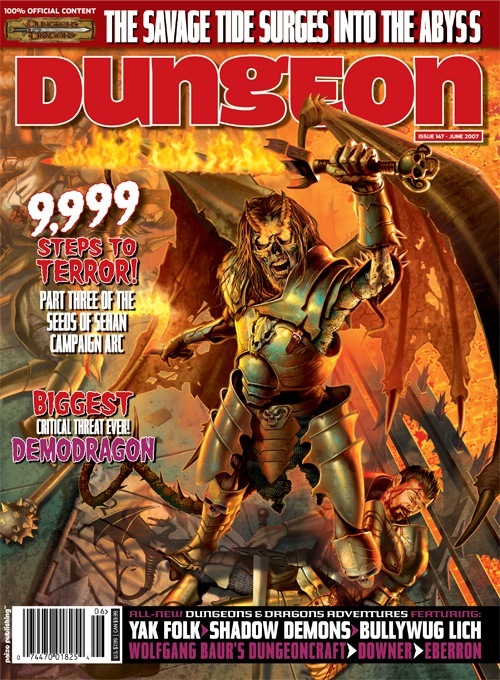 Starting in 2008, Dungeon and its more widely read sister publication, Dragon, went to an online-only format published by. The rest is devoid of interesting content. Thanks again to both of you. Three lengthy series were completed: the Shackled City 11 parts , Age of Worms 12 parts and Savage Tide, concluding with issue 150. But beware, for cunning wordplay is not the only way to win a debate. Rogues Gallery was a column by various authors. Alongside the Compendium a second book is also being offered in this campaign — The Aventuria Armory. Horror adventures tend to be popular, but The Ghost of Mistmoor stands out as one of the very best. If a product has massive sales then developers will make games for it, but a console won't have massive sales without games. The real dragon is hiding on a ledge and jumps the party. I think I missed Telthin, and cut the others for various reasons. In the end, they kill the giant or shove the witch in an oven. Thanks again to everyone -- and my apologies for not responding earlier. 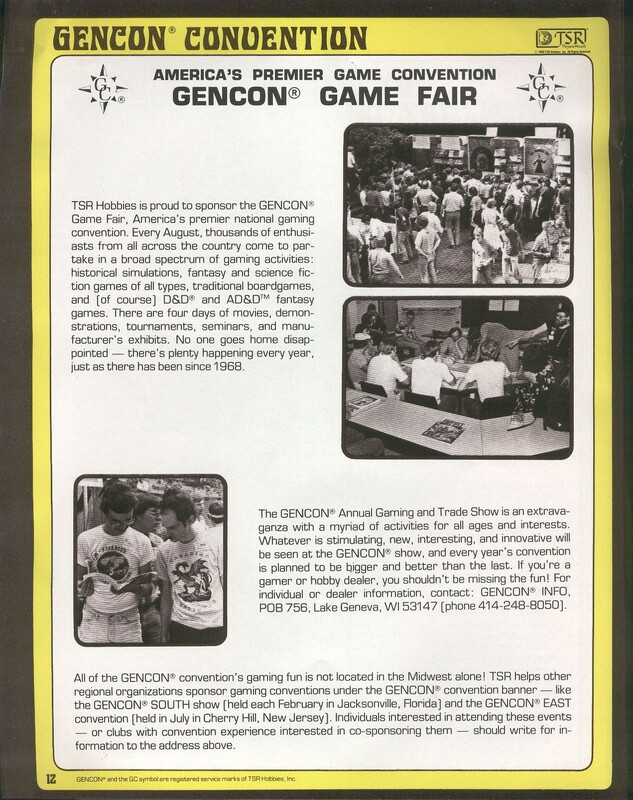 It and all other Greenwood articles published in Dragon are by the original Realms purchase agreement which applied retroactively to all material published before the summer of 1986 considered canonical. In more detail each tile, is 6cm x 6cm, divided into 4 squares of 3cm x 3cm and with 2cm wall height if there is any. 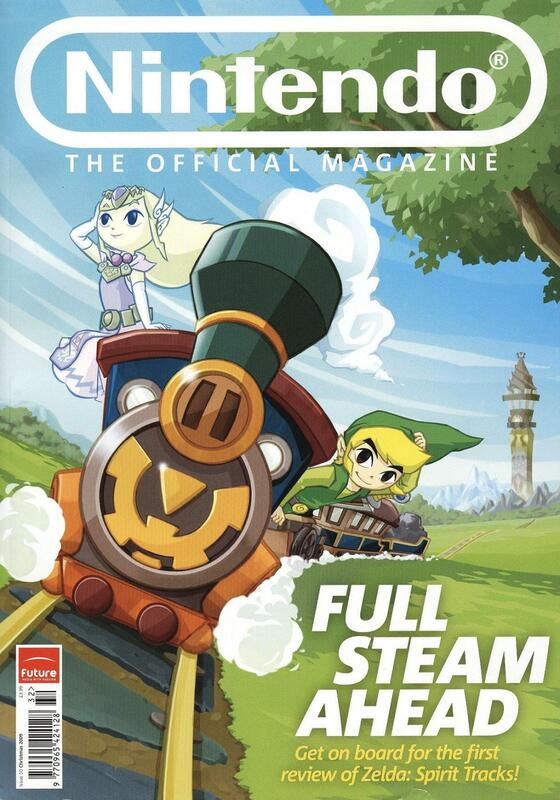 Eye on the Realms was a series of articles by published from to. A Savage Tide Adventure Path scenario for 17th-level characters. Otherwise, I'm too broke right now to spend money on gaming supplies. I have quite a few and can recommend a few games you might not have. With magic that takes a dreadful toll on those who use it, psionics are awakening. This series would focus on individuals and locations in the Realms. Help them return to their homes or they will drown their hostage. Thanks for listing these, I know I've caught word of several projects this way that would have been off my radar otherwise. The series debuted in September 2000 and ended in August 2001. This was an adventure that was not only well done, but it laid the groundwork for present products like because it showed that creatures as overlooked as ghouls could have interesting lore attached to them. In conjunction with the first anniversary of Dungeon Adventures, included a brief review in Issue 125 September 1987 of Dragon. Columns Arcane Lore was a column by various authors. They were published in issues to. · Tales Around the Fire: Storytelling advice, including Chronicle-building, rules for creating new Courts and Contracts, and player safety advice. Let us teach you the rituals. They need to find them and bring them back to the Prime Material Plane where they will be used to destroy an artifact. References to any of those issues would be a great help. As I've already got the plot for the four elemental planes, I just need setting details. Each item includes a full-color illustration and suggestions for uses in the world of The Dark Eye. I'm definitely going to check out the 70's range of Dungeon for that watery adventure as well as a host of these others.